Smartphones become more expensive in Pakistan after the government has imposed the import duty. There is another sad news for those who are the smartphone lovers and frequently change their devices now the government has decided to impose the import duty on the smartphones and therefore the prices of the mobile phone become too high. The government of Pakistan has imposed import duty on mobile phones from 15th January, 2019 from 44-52 per cent. Just few months ago the government had devised a new policy that stopped the people from bringing more than 5 smartphones a year to Pakistan and has posted a custom duty on these phones. 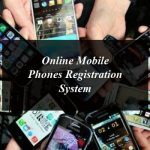 On the other hand, Ministry of Information Technology has devised the way to register the un-registered mobile phones till 15th January, and if the phone is not registered PTA will block it with the DRIBS system and you need to pay duty to make it under use. The Device Identification, Registration and Blocking System (DIRBS) is capable of detecting the non-compliant mobile phones’ IMEI numbers. If the cellular operator any of the mobile phone non-complaint it will be blacklisted and won’t work after the prescribed limit. All the duplicate and smuggled mobile phones will be blocked after detection permanently. The smartphone users in Pakistan can verify the authenticity of their mobile devices in line with PTA regulations via SMS to 8484 and to check the status of IMEI log on dirbs.pta.gov.pk or download DIRBS android mobile app from Google Play and Apple app stores. In this regard the authority has issued a notification and as per the notification the owners of the non-use mobile phone sets will have to pay 10 per cent fine in addition to the custom fee. But all this not enough for the government as there are new taxes on the smartphones which is between 44-56 percent and the customer will have to pay it. According to a report by the Karachi Electronic Dealers Association (KEDA) the income tax rates on mobile phones imports, duties, general sales tax (GST), and levy has been revised. The import duty on mobile phones has been increased by 15%. The import duty on phones is now around 44-54%. The imposed duty on smartphones will directly bring the increase in the prices up to Rs. 20,000 per device. 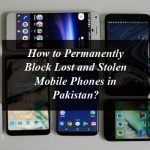 How to Permanently Block Lost and Stolen Mobile Phones in Pakistan? 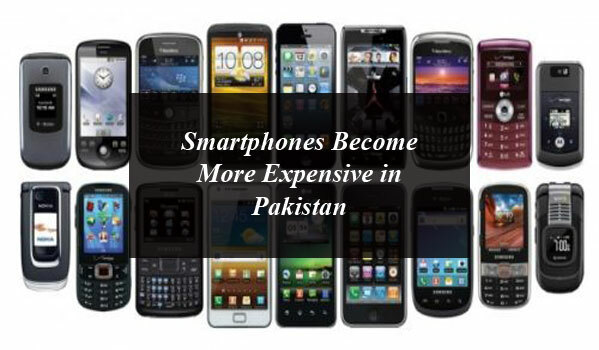 Smartphones Become More Expensive in Pakistan. 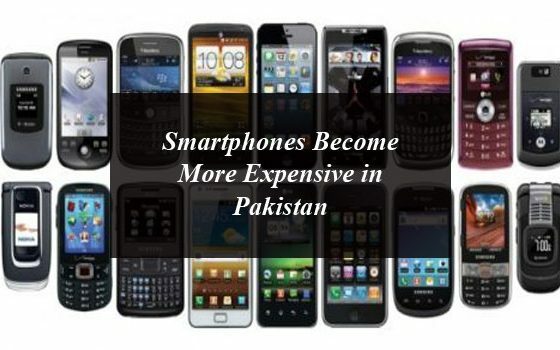 Smartphones become more expensive in Pakistan after the government has imposed the import duty.